There are so many interesting little websites out there, and often the only way to find them is by using StumbleUpon. 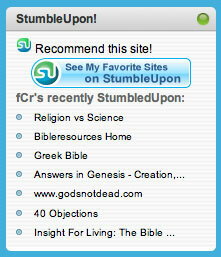 StumbleUpon is a great application that suggests websites that other people recommend for the categories that you choose. It is a great fun, and a good way to fill five minutes if you have a loose end whilst sitting in front of your computer.